On December 7 1990, Madonna’s Justify My Love was released as the first-ever video single, priced at $9.98. On December 3, 1990, ABC’s Nightline played the video in its entirety, then interviewed Madonna live about the video’s sexual content and censorship. When asked whether she stood to make more money selling the video than airing it on MTV, she appeared impatient and answered, “Yeah, so? Lucky me.” She also expressed during the interview that she did not understand why the video was banned, while videos containing violence and degradation to women continued to receive regular airplay. 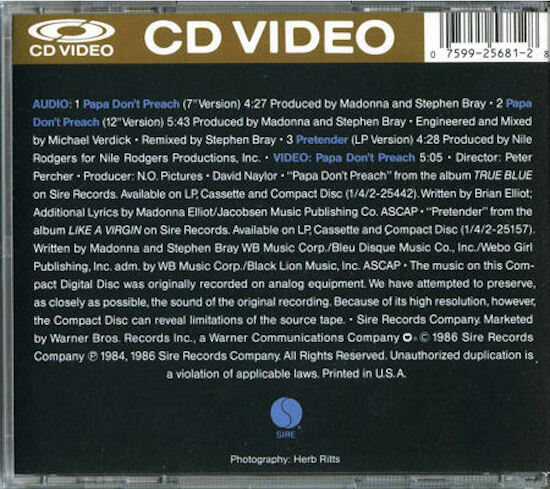 The video was then released on VHS, and became a bestselling “video single” of all time. 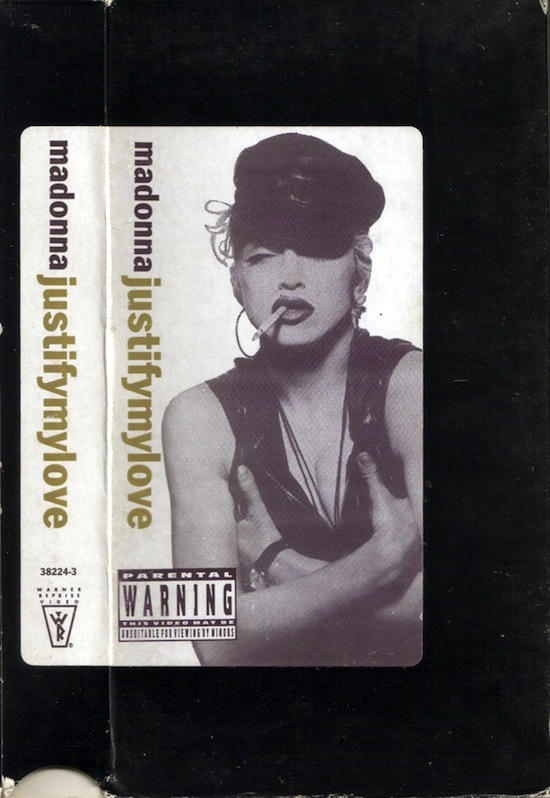 Do you still have your VHS copy of Justify My Love? 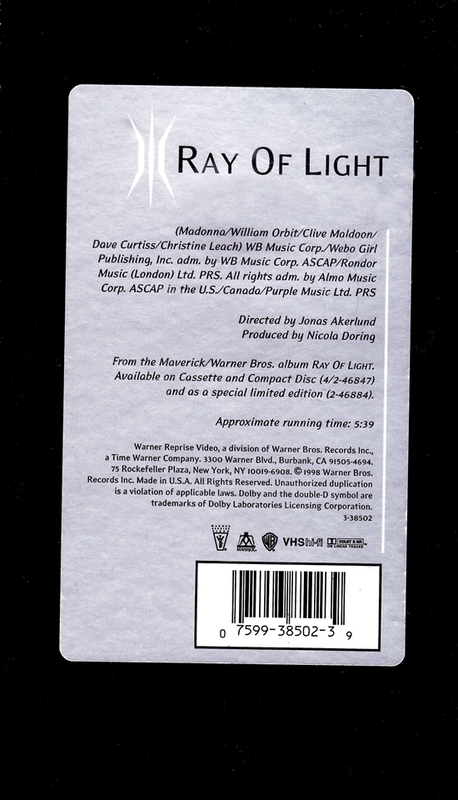 On June 23 1998, the music video for Ray of Light was released by Warner Reprise Video as a limited edition video single of 40,000 VHS copies. It sold 7,381 copies within its first month of release, becoming one of the best-selling video singles of the Nielsen SoundScan era. 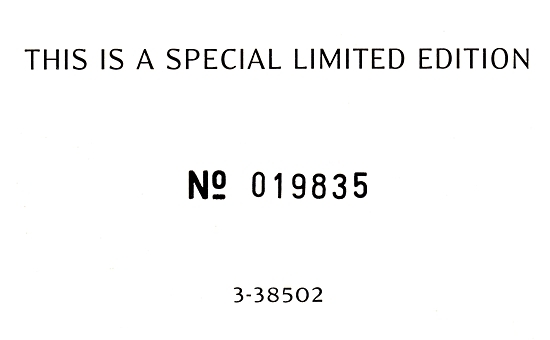 Madonna’s previous video single release, Justify My Love, which predated SoundScan, was certified quadruple-Platinum by the RIAA (for shipment of over 200,000 copies). 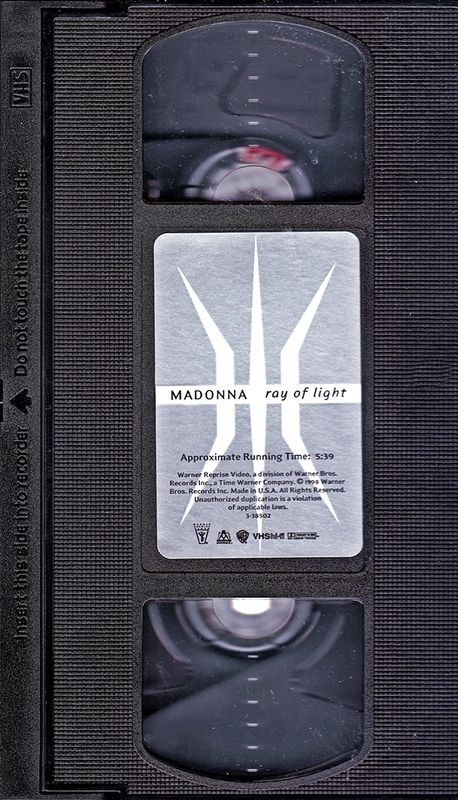 The reason behind Ray of Light being issued as a video single were twofold. Madonna was very pleased with the outcome of her first collaboration with director Jonas Åkerlund and her record company felt that there would be enough interest to warrant its commercial release. 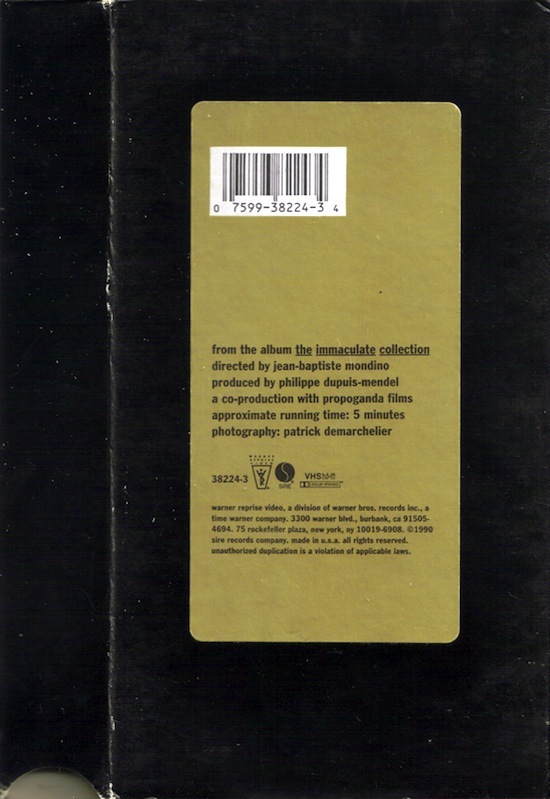 Secondly, Warner’s marketing team correctly sensed that the song’s then-experimental sound would be a tough sell at radio, so the decision was made to pull out all the stops to ensure the release outperformed on the sales chart. 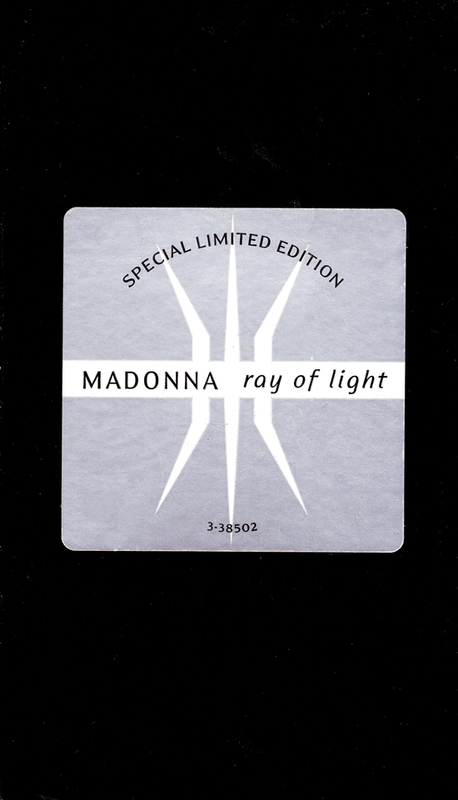 Another prong in this strategy was the inclusion of album outtake Has To Be as the b-side to the two-track single, while excluding it from the maxi-single in an attempt to persuade fans to purchase the single in multiple formats. The strategy proved successful, with the song’s number-five debut and peak on the Billboard Hot 100 mainly due to its sales strength. According to Billboard, the music video single boosted its first-week sales by roughly 7%, helping it to secure its place in the top-five. Indeed. 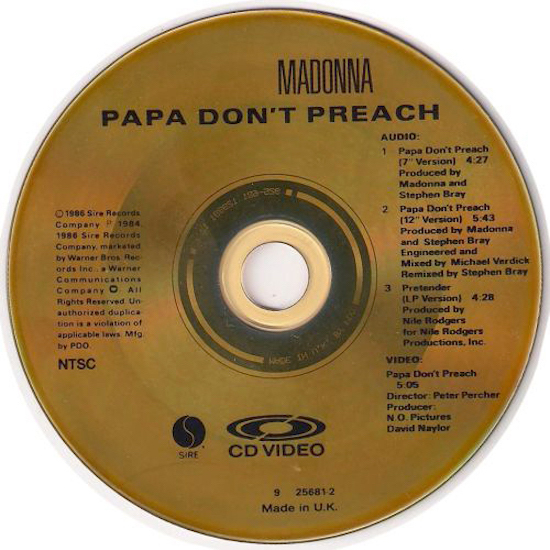 Within the next five years (and two Madonna video singles later), the emergence of online file sharing would obliterate the physical singles market in North America, and video streaming sites would soon spell an end to the prospect of marketing music video singles as a physical format. In digital form, however, music video singles may be selling in larger numbers than ever due to increased availability through iTunes. Strangely, however, sales of music videos through iTunes are not reported to Billboard and no longer count towards a single’s chart position (reportedly due to iTunes’ monopoly on digital sales of the format), while streams of music videos through sites like YouTube and Vevo are used in Billboard’s chart methodology.